Today’s Flash Back Friday comes from Episode 137, originally published in April 2013. John Patti is a Matrimonial Law Attorney. He tells Jason that revenge is not the only reason people hide their assets in divorce proceedings and discusses the penalties for hiding your wealth from your soon-to-be ex-spouse. He explains some of the signs that your spouse may be hiding money from you and why these penalties aren’t being enforced like they should. 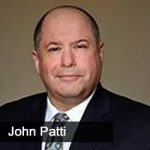 John A. Patti is Certified by the Supreme Court of the State of New Jersey as a Matrimonial Law Attorney and is Peer Review Rated by Martindale-Hubbell. John also possesses exceptional academic credentials, strong community ties, and is passionately committed to the pursuit of excellence in the practice of family law and has been practicing law nearly twenty (20) years. John understands the difficulties divorce can impose upon a family. He is dedicated to working with you to develop custom-tailored legal solutions for issues such as child custody and support, division of assets and debt, and visitation schedules that work for you and your family. He spends the time to get to know you and your family so he can make the recommendations that are right for you. As an experienced litigator, John will never allow anyone to take advantage of you. If reasonable agreements cannot be reached without the need of trial, he will vigorously advocate for you in court. John has also recently appeared before the Honorable Chief Justice John Roberts of the United States Supreme Court and is admitted to practice law in that Court. John’s application for the Certified Matrimonial Trial Attorney was accepted and John recently sat for the Certification test in Trenton.